What is TMJ and How Do I Treat it? If you are experiencing facial pain on or near your jaw area, there is a good chance that you have TMJ. Since facial pain can be caused by many factors, it is important to identify the symptoms of TMJ before you seek medical attention. Before you frantically start searching online to try to identify if you have TMJ yourself, read our quick guide below on what TMJ is, the symptoms it can burden you with, the causes behind how someone can get TMJ, and treatment options available to you. TMJ stands for Temporal Mandibular Joint but the phrase is commonly used in reference to a condition affecting the joint. TMJ arises when the hinge connecting your jaws stops functioning properly. This is among the most essential joints in your body and is crucial for the movement of the lower jaw backward, forward, and sideways. Any problem preventing this system of muscles, discs, bones, and ligaments from working is categorized as TMJ. TMJ feels like the jaw is clicking, popping, or stuck. The cause of this kind of misalignment is hard to determine. While some experts associate this condition with genetics and lifestyle, many other factors contribute to TMJ disorder. Some people with this condition tend to grind or clench their teeth. In many cases, the discomfort and pain that comes with this condition is temporary and can be easily relieved with nonsurgical treatments or home remedies. Surgery is normally used when all other methods have failed. Small meals- consumption of small meals can help to stabilize your blood sugar. When your blood sugar fluctuates or is inconsistent, you are likely to experience frequent grinding of teeth. The main mineral supplements used to treat TMJ include magnesium and calcium for relaxation of muscles, kava to reduce anxiety, MSM to reduce muscle spasms, and vitamin B complex for relieving stress. The essential oils used in TMJ treatments include frankincense oil, lavender oil, and peppermint oil. Frankincense is used for reducing inflammation, lavender for relaxing tense muscles, and peppermint for relieving pain. What are the Options if Diagnosed with TMJ? Anti-inflammatories and pain relievers. If over the counter medication does not help in relieving TMJ pain, your physician may prescribe strong pain relievers. Some of the common non-steroidal anti-inflammatory drugs (NSAIDs) used for treatment include ibuprofen, Motrin IB, and Advil. Muscle relaxants: These drugs are used for a couple of days or weeks for relieving pain brought by TMJ disorders. Tricyclic antidepressants: Medications like amitriptyline were commonly used for depression but are currently used to relieve pain. Physical therapy: These may include exercises for stretching and strengthening jaw muscles, moist ice and heat, and ultrasound. 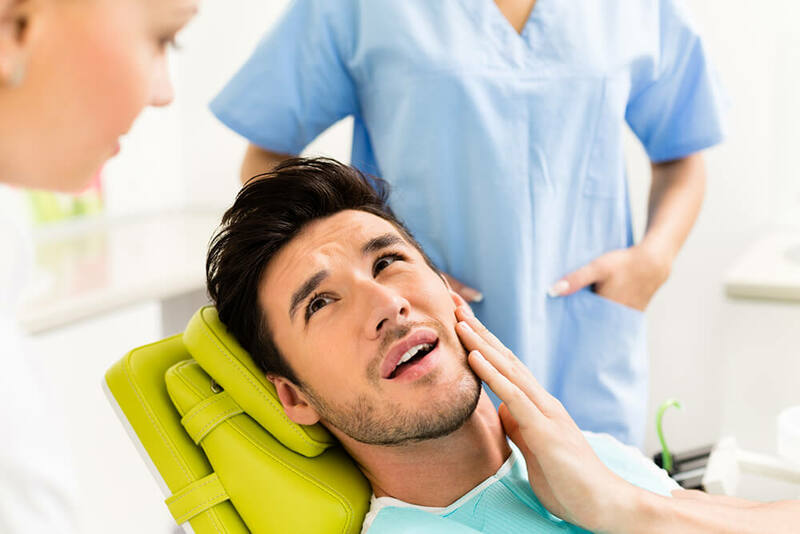 Occlusal appliances: In some cases, people suffering from jaw pains are treated by inserting a soft firm device, also called an oral splint, over their teeth. Counseling: Educating and counseling patients is an effective preventive measure. Patients are advised to avoid behaviors that are likely to aggravate pain such as grinding of teeth, biting fingernails, or leaning on their chin. Arthrocentesis- This is a minimally invasive treatment involving the insertion of small needles into your joint to deliver a fluid that removes inflammatory by products and debris. Injections- In some cases, injections such as corticosteroid and botulinum toxin, is used to relieve pain. TMJ arthroscopy- In an arthroscopic surgery, a thin tube is inserted in the joint space and small surgical instruments are used to perform surgery. Modified condylotomy- This procedure deals with TMJ indirectly. The surgical procedure is performed on the mandible and helps relieve pain and reduce locking. Open joint surgery- Arthrotomy or open joint surgery is a procedure meant to replace or repair the joint. This option is used when all other treatments for TMJ fail. Acupuncture: An acupuncture therapist inserts small needles at specific areas of your body to relieve TMJ pain. Bio-feedback: Electric devices that keep track of the firmness of specific jaw muscles can be used for practicing relaxation techniques. Relaxation techniques: Consciously taking slow, deep, and regular breaths can help ease the tension around your muscles and reduce pain.